Review of the HyperX Savage EXO SSD External Portable Drive. Today we'll be taking a look at the HyperX Savage EXO, which is one of the newest USB 3.1 Gen 2 portable SSDs on the market. Inside, HyperX went with a SATA III drive powered by the Marvell 88SS1074 controller paired with 64-layer 3D TLC NAND Flash. This combination allows the HyperX Savage EXO series to reach sequential speeds of up to 500 MB/s read and 480 MB/s write. Read on to learn more about it and see how it performs against 10 other portable SSDs in our file transfer tests. 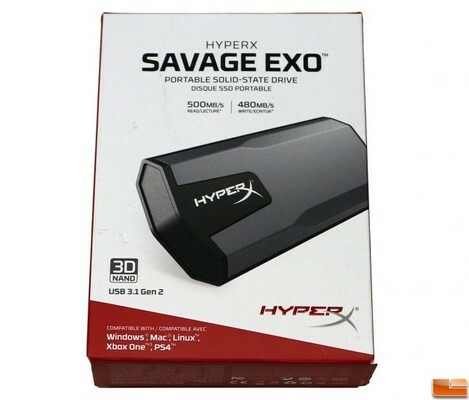 HyperX Savage EXO SSD External 480GB kaufen.